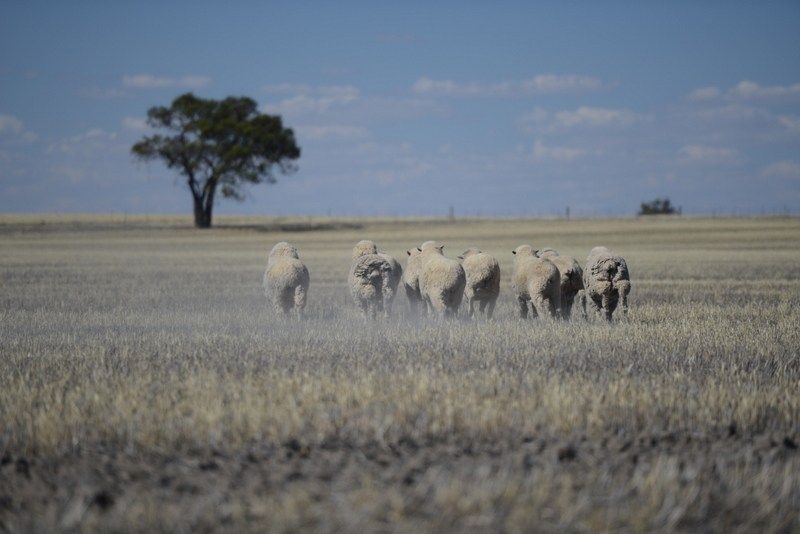 The climate that we’ve been experiencing in the Wimmera over the last 15 years is very different to what we’ve had previously. 5 years ago, the majority of farmers were saying it’s just cyclical. Whereas, now, probably more than 50 per cent of farmers would say what we’re experiencing is the new norm, and we need to learn how to live with it. Our property has been in my family for 4 generations. We own and run 1800 hectares and share-farm another 400 hectares. We recently purchased 400 hectares more next door, so are thinking even more carefully about insuring against the risk of low rainfall and seasonal variability. We aim to plant crops on about two-thirds of the farm which will be harvested with a header. On most of the rest of the farming land, I plant forage crops that are either grazed or cut for hay, depending on how the season pans out. I like to keep my options open. We used to get about 350 mm of rainfall a year, but over the last 15 years it’s dropped to about 300 mm. It seems like we are getting the lighter rainfall that traditionally fell to the north of us. We had 24 mm this week [May 2015], which is the first decent rain event since January, but the season’s still looking poor. For 15 years we haven’t had a traditional season break, so now there’s real skill in deciding when to plant a crop, given that throughout May/June we’re only getting showers. We don’t really get that signal that says, ‘Now it’s wet enough for a crop to grow’. We’re also not getting reasonable spring rainfall at the other end of the season, so a lot of the crops are failing to finish. Twice in the last 5 years we’ve had a season where we’ve had very little spring rain but the temperatures remained fairly low, which softened the impact on yield. What we are seeing more of, though, are summer thunderstorm events. The worst was 2010-11 when we had huge floods which delayed our harvest until March. What’s weird is that the rain came from the north-east – which is where we are now receiving a lot of our rain from – instead of the south-west. The benefit of the summer rains is that you start the season with plenty of moisture. The flip side is that the moisture runs out before you get to the end of the year, given our drier springs. We haven’t had a year where it’s been a dry start and a wet finish for probably 15 or 16 years now. We’ve had a higher occurrence of frosts in the flowering period. I try to use different varieties of cereals and to have a spread of flowering times, so that I don’t lose the whole crop if I get a severe frost one morning. In addition to dealing with frost, we also have to deal with heat. We’ve had a few 40°C days in October  which, until a couple of years ago, we’d never had before. 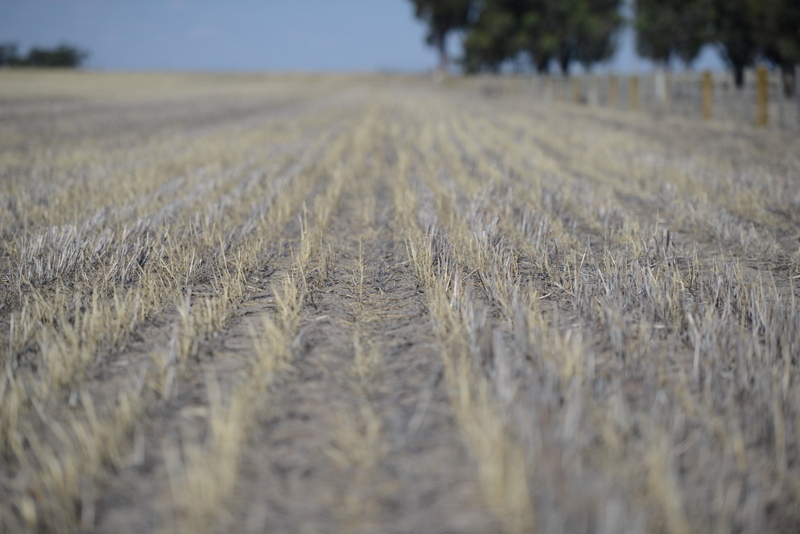 I’ve stopped planting crops that are most likely to be harmed by a 40°C day – mostly pulse crops. Apart from that, there’s not much you can do to prepare for a 40°C day. All in all, it’s becoming extremely difficult to get a crop through the last 6 weeks of its life to harvest. 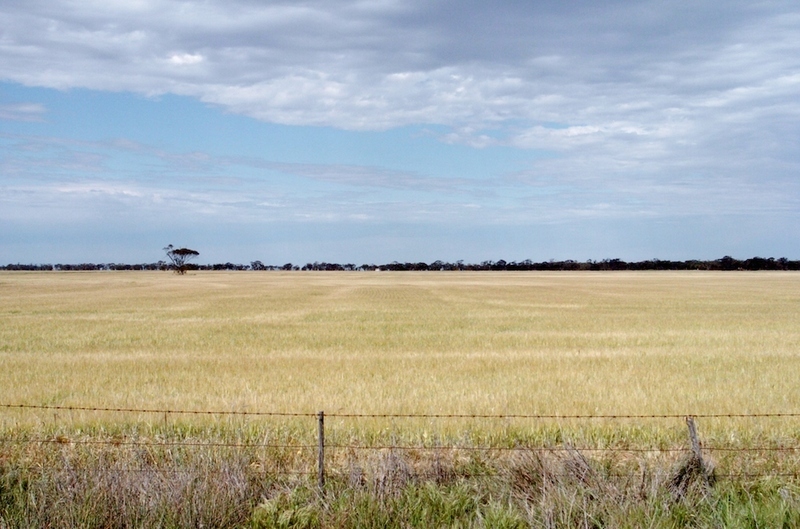 The climate that we’ve been experiencing in the Wimmera over the last 15 years is very different to what we’ve had previously. 5 years ago, the majority of farmers were saying it’s just cyclical. Whereas, now, probably more than 50 per cent of farmers would say what we’re experiencing is the new norm, and we need to learn how to live with it. We try to find trends by looking at 110 years of recorded history, but the climate has been changing for thousands of years. In 100 years we’ll know whether it’s a cyclical change or a new norm. But the bottom line is that we have to work with what we’re being dealt. When I plant a crop, I now have 3 choices for harvesting it – with the header, with a hay baler or with sheep. It all depends on how the season progresses. For example, last year  I planted oats, which I planned to harvest for oat and hay. We didn’t end up having any rain past August so that crop failed as an oat/hay crop. However, I had an equivalent area of wheat that ended up being frosted, so it became my hay crop. Because of the seasonal climate we’re having at the moment, it’s extremely important that we remain flexible and monitor our crops constantly. You can’t just say, ‘Well, I planted that wheat so it’s going to be harvested as wheat’. If I have a couple of severe frosts, I’ll go out, walk across the paddock, see what level of frost damage there was and make a decision. If it’s been severely damaged by frost but has significant bulk, I might decide it is better to cut it for hay in October, rather than wait and see what yields we’ll get in December. The two key things that drive me are being flexible and – it probably sounds very negative – aiming low. It’s become extremely apparent in this district that it’s a lot harder to build yourself back up from a failure than it is to accept a lower return and not have that failure in the first place. If you’re aiming for average or below-average yields, only running a small number of sheep and the enterprise is making a profit at that level, just do that. Don’t try for that ‘big year’. Don’t try to push for higher yields and greater income, because you open yourself to a higher risk of failure. Even though you might set your production standards low, you can still try to do everything to the best of your ability. It’s a lot easier to avoid a loss than it is to try to make back money that you lost. A large part of our business approach has been reducing the risk of losing money. I’m farming less than I was 15-20 years ago, but we’re probably better off financially because we’ve tried to eliminate the places where we lose money. I’ve become very reluctant to plant any crops where I think that the chance of growing a good crop is marginal. I’m also assessing the risk during the season as to whether a crop I’ve been cultivating will reach grain. If it doesn’t look like I will be able to harvest it, I’ll turn it over to grazing. Over the last 15 years, to deal with a changing climate, I’ve certainly increased the size of the prime-lamb enterprise on the farm and I’ve altered the mix of crops for harvest, forage and varieties. I’m looking for new varieties that are resilient during poor seasons. Certainly with some of the newer high-performance canola varieties, they’ve got fantastic yield potential in an average-to-good season, but as soon as it drops below average they fall in an absolute heap. We can’t afford to be growing crops which give you nothing once rainfall falls below average. We are also negotiating insurance for low rainfall; now that this type of product is maturing, it looks like a viable tool to use to help tackle seasonal variation. It will be an interesting new chapter in managing climate variability. Growing most things around here is simple: you just add water. We’re extremely dependent on conserved soil moisture to get us through the season. These days it’s become even drier due to less rainfall, warmer temperatures and, in some seasons, windier winters. I’m doing less soil-moisture testing than I used to do – I don’t think you need someone to tell you it’s dry when you can clearly see that it is. But I’ve compromised doing soil-moisture tests to improve the bottom line, which seems wrong when soil moisture is so important these days. I leave a few test strips in the paddocks where I drive a bit wide with the boom spray. The following year at harvest time I can clearly see that where weeds grew, they took out a lot of moisture. In the past, weeds like heliotropes and melons were allowed to grow or were controlled with cultivation. But these days we’ve got a zero-tolerance approach to summer weeds. It is a no-brainer, but the value of maintaining ground cover is really becoming apparent. It is something I consider when I’m choosing what variety I plant on a paddock: how much ground cover will be left by that variety, post-harvest. I’m not backward in putting a firebreak around something and burning it if there’s a weed or disease problem. But it’s the absolute last-resort tool, because the value of stubble cover for moisture conservation is extremely important. I think it would be 15 years now since I’ve had to burn stubble, because we’ve not had those problems. A couple of years ago, when hay prices were extremely high, I had some reasonably heavy stubbles and I was able to bale them and sell the straw into the feed market. I made myself an extra $60-80 per acre at the time by selling that straw. But I lost the same amount of money out of the following crop, because the soil moisture just wasn’t there with the stubble cover gone. So it’s another one of those learning exercises that you go through – if you don’t do things like that, you don’t learn. With more hotter days and less rainfall, soil moisture could become more of an issue into the future. Even though our skills using pre-emergent herbicides in no-till have really developed in the last 10 years and we practice no-till, I still cultivate as a part of my integrated weed-management program. The biggest problem I have on this farm is that if we have a good start to the season, our crops produce too much bulk. If we have a dry August, September and October – which we have been – the plants have trouble producing quality grain while sustaining the bulk, so they aren’t able to meet their full potential. To combat this, we’ve been letting sheep graze on the cereal crops. In the last years [2013-14] some of our best cereal crops were crops that were grazed heavily in the first half of the growing season, which reduced the amount of bulk that was there. They produced good-quality grain and we ended up with a marketable product instead of a feed-type, shrivelled grain that you struggle to find a market for. It’s also helping us run 10-20 per cent more sheep on the farm. We’re now budgeting each year to graze crops. The hardest bit is just getting your head around the fact that you are going to put sheep on the paddock. It takes a bit of management. You can’t afford to let the sheep eat the crop down too much. 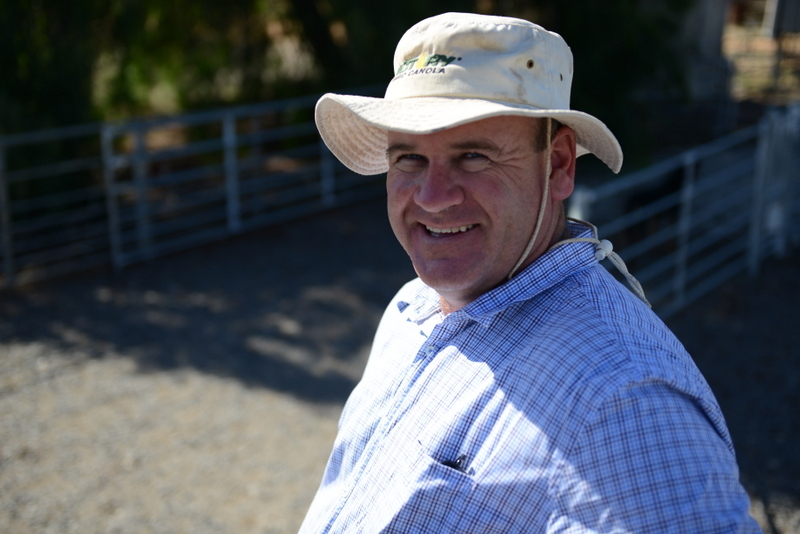 I’ve been doing a few Grain and Graze courses and following the results and recommendations from trials conducted by the Birchip Cropping Group, who have received GRDC funding for a few years now to try to work out the best way of doing it. There are now some fairly clear guidelines on which crop-growth stages you can graze on [free Ready Reckoner and workshop notes]. As long as there’s enough root development, from that time onwards I’m grazing crops. The one downside of running sheep is that you do have a higher risk of erosion, particularly if they take too much stubble. Then you need to cultivate some areas to stop wind erosion; I do this by ridging up the soil. The internet is a fantastic tool; if you look hard enough, you can find whatever you want. Websites such as the Victorian Department of Environment and Primary Industries and The Break newsletter give a good run-down, and they save me a lot of time on the internet. I use the climate-risk data, look at the monthly newsletter and see how they compare when I look out the kitchen window. I don’t plan my whole business around what I’ve read on the internet, but it does help with my day to day decision-making. It comes back to you needing to make decisions that you are comfortable with, as far as modifying your exposure to risk. The family farm, and the majority of the land that I’ve bought on top of that, have all had about 10 per cent remnant vegetation. Over the last 15 years, as the climate has been getting drier, it’s been very noticeable in the remnant vegetation that the trees are suffering and a lot of the understorey vegetation is under threat. I’d hate to see the remnant vegetation that we’ve got disappear. It provides shade for our sheep and acts as a corridor for native flora and fauna, so I’m doing whatever I can to try to protect it. We’ve fenced off virtually all our remnant vegetation now, and we’re not grazing it. All the native herbage [non-woody plants] and native grasses are starting to return. Just fencing it off, and making sure that it regenerates in a natural way, is enough to keep it going. 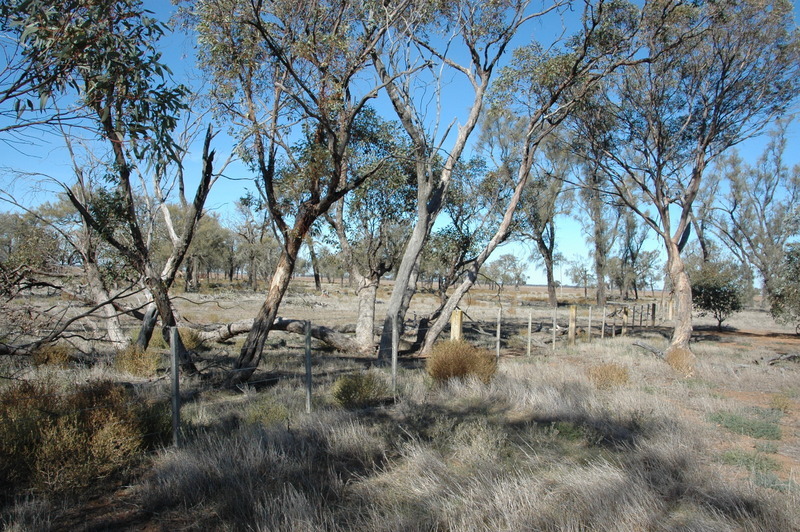 It’s useful knowing what land-protection grants are available from the state and federal governments and through Landcare. You can’t make your farm profitable from grant income, but it certainly helps to get a bit of extra money to do some environmentally good work on the farm. I have to admit that, when you look strictly at rainfall and climate data, the future probably doesn’t look that good for us. But I’m up for the challenge. I want to live in my community for the next 40-odd years and I don’t want to be the only person left, so it’s in my own interest to make sure that all the other farmers in the district are still profitable and sustainable so that we’re all here into the future. I hope that in sharing my knowledge and experiences, other farmers can improve their businesses. Climate change is a problem which is affecting all of us. We’ve made a number of management changes in the last 10 years. We’re getting water-use efficiencies now that are phenomenal and would have been unheard of 10-15 years ago. There are also a lot of new technologies out there. Farming today is completely different to what it was 10 years ago, and those changes and challenges are what keeps farming interesting. I think I’m more interested and keen to keep farming given the changes that are upon us now, rather than if things were still how they were 15 years ago. The challenge is one of those things that keeps me getting up each morning and going out there to do the work that needs to be done.